Please use the following directions for accessing our Grape St store during construction closures in the area. Come watch our grass grow... literally! The Green Solution on Grape Street in northeast Denver offers something special that you won&apos;t find at every dispensary -- a panoramic view into our grow room. 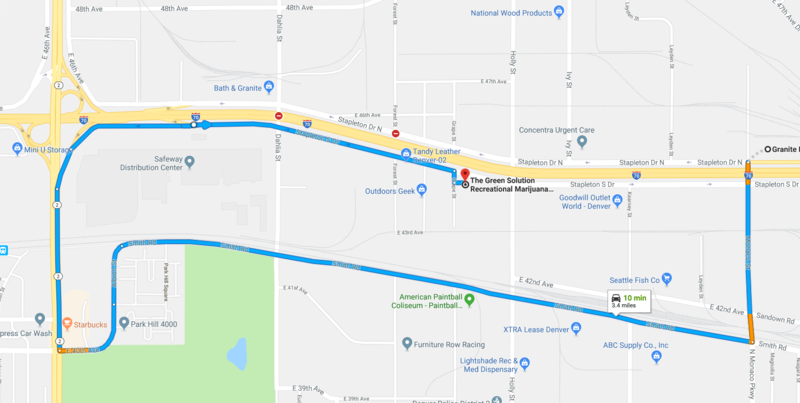 This location is also the closest TGS to Denver International Airport, offering visitors easy access to Colorado&apos;s favorite purveyor of cannabis. 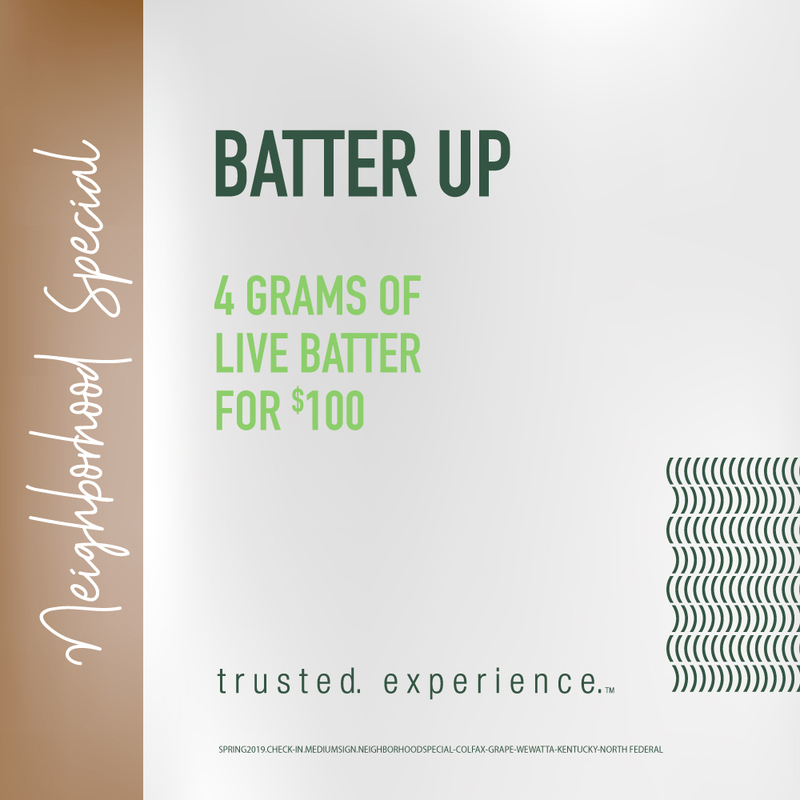 Conveniently located just off 1-70 and near Commerce City, Stapleton, and Park Hill, TGS Grape Street has a vast selection of flower, concentrates, edibles, and accessories to meet all your needs. You know the old rhyme: "TGS, your flower&apos;s the best! How does your garden grow?"" Ok, maybe we made that up, but haven&apos;t you wondered where the amazing flower that The Green Solution offers comes from? It comes from our very own cultivation facilities -- and you can take a peek into one now at our Grape Street location (4400 Grape Street). Be our guest and experience cannabis from the 12 foot viewing tunnel carved into the heart of a hydroponic growing room. The Green Solution North Denver isn&apos;t just unique because of its staff and proximity to DIA, it&apos;s also the only Green Solution location that is directly attached to a cultivation room. This provides extra delightful aromas for customers, with the added bonus of knowing your product is fresh picked from the source next door.